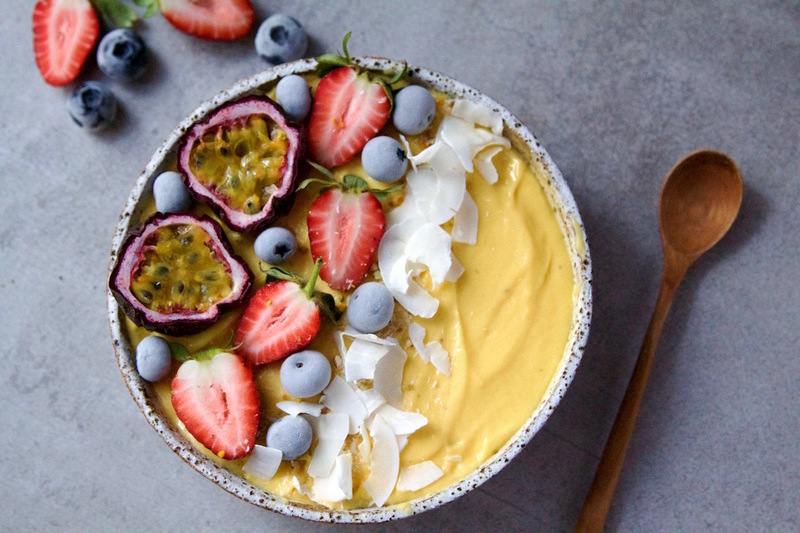 Smoothie bowls are one of the easiest and delicious ways to give yourself a good breakfast full of nutrients, fibre and protein in the morning. 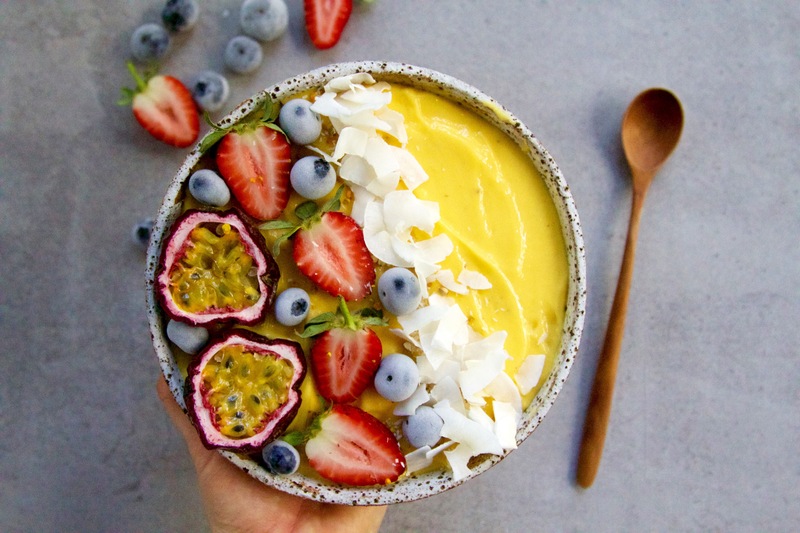 Those sweet delicious mangoes are full of fibre and vitamin C! Mangoes also Improve digestion and elimination and boosts the immune system. Place all smoothie ingredients into a blender and blend until smooth.